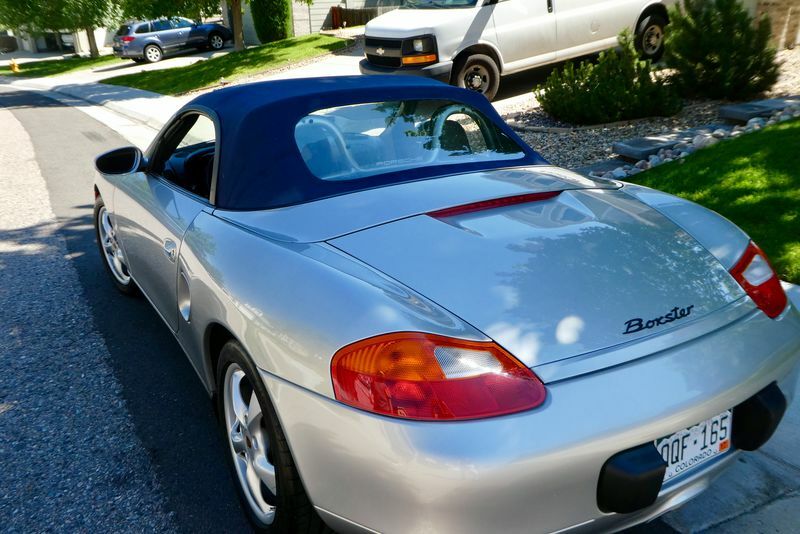 2002 Boxster base for sale. 64,900 miles owned since 2010. LN retrofit Ims, upgraded Rms, clutch, pressure plate, t/o bearing, water pump, thermostat, all flex coolant hoses replaced 5k miles ago. 60k mile service complied with, new serpentine belt, spark plugs, tubes and orings, coolant tank and all fluids replaced recently. 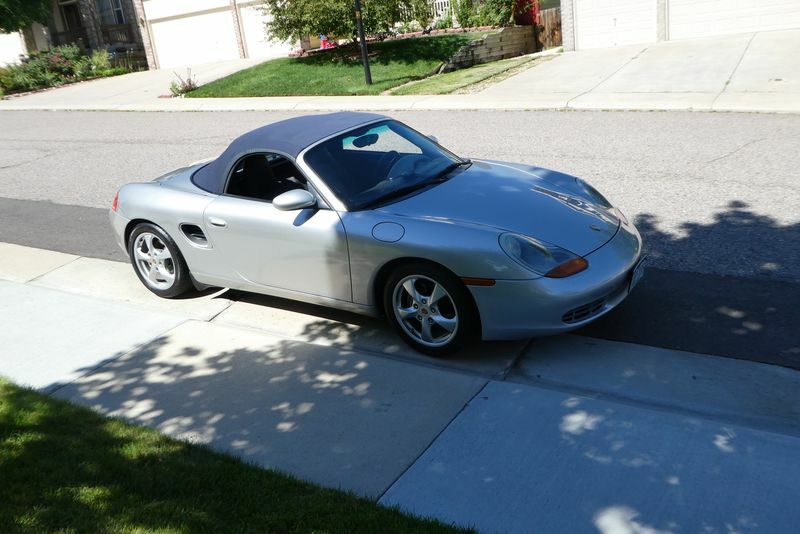 Car is in great shape, arctic silver, blue interior and top. Plastic window in great shape. Rear tires have 4K on them. Front tires unknown but look fine. Last edited by Richard E.; 08-19-2017 at 06:14 AM. Reason: Car has been sold. $10,900. And will include a Bentley and 101 project manuals.